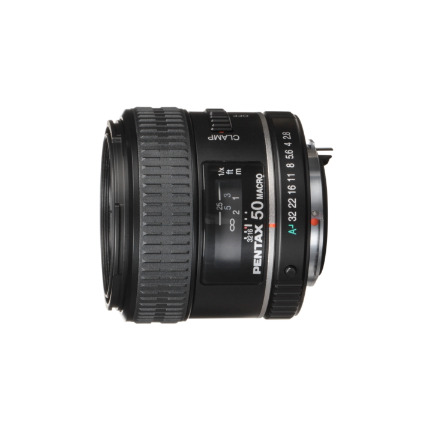 The smc PENTAX-D FA 50mm F2.8 macro is designed for digital and film SLR cameras. 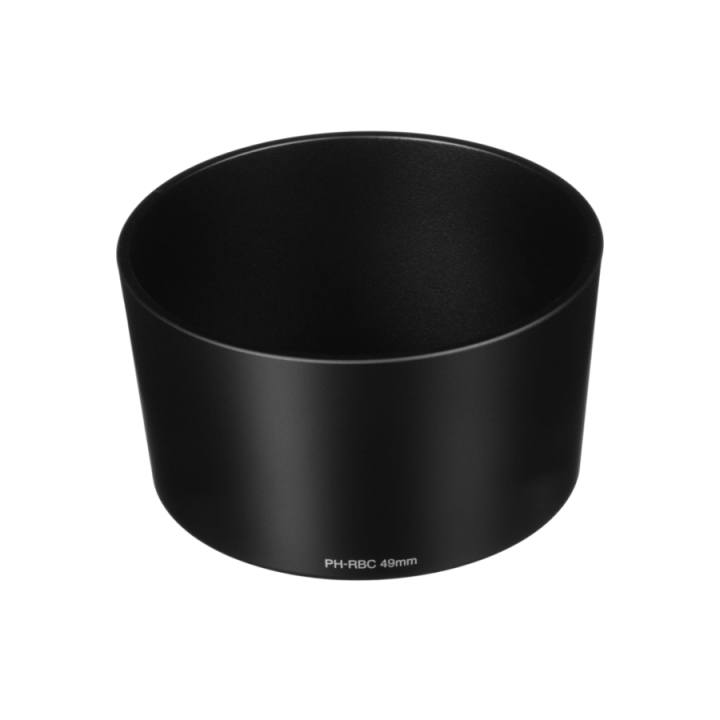 It utilizes curvature and positioning of optical elements to virtually eliminate flare and ghosting for clear, high-quality images particularly important to digital photography. 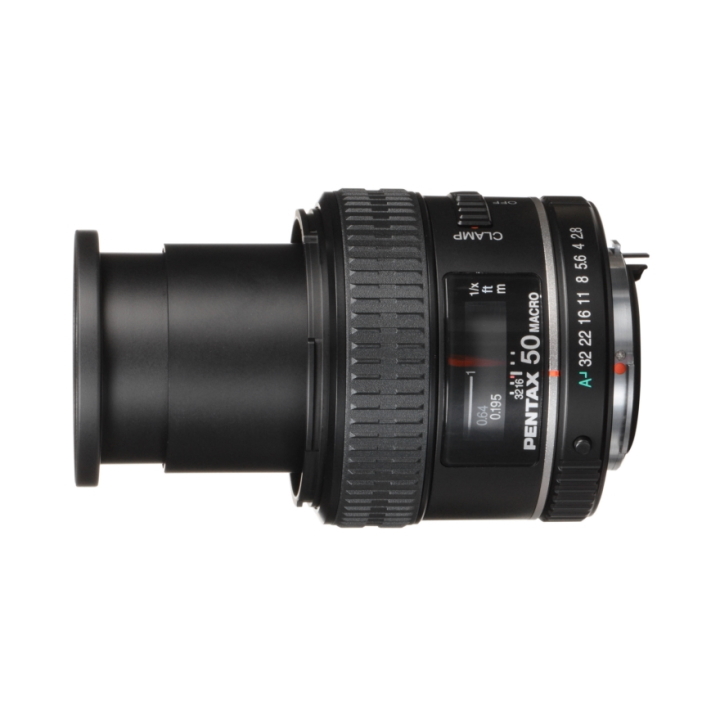 This versatile lens can also be used as a standard lens. Achieving life-size (1:1) magnification it features our acclaimed smc multi-layer coating to lower surface reflection, reduce ultraviolet rays, and deliver clear, high-contrast images. 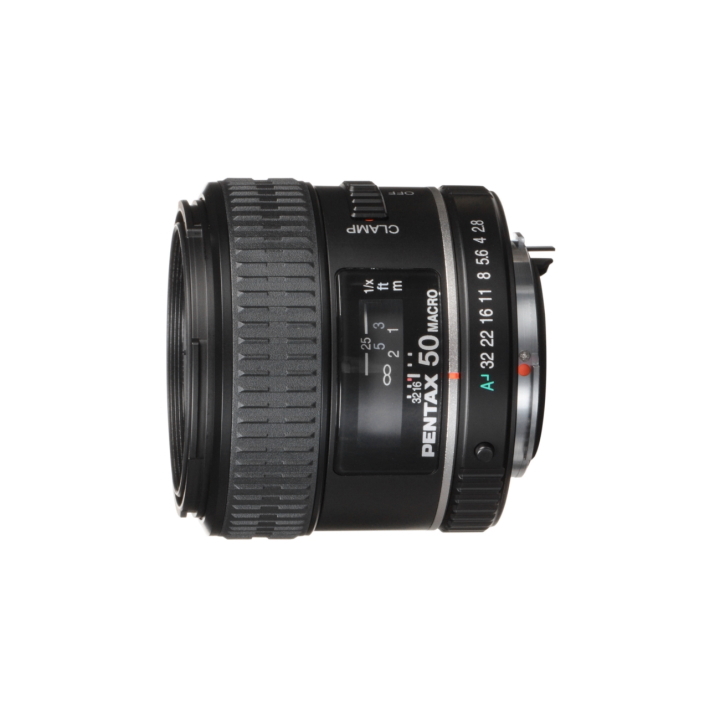 This versatile lens can be used as a macro or standard lens, with digital or film SLR cameras, and all with exceptional results in clarity and quality. 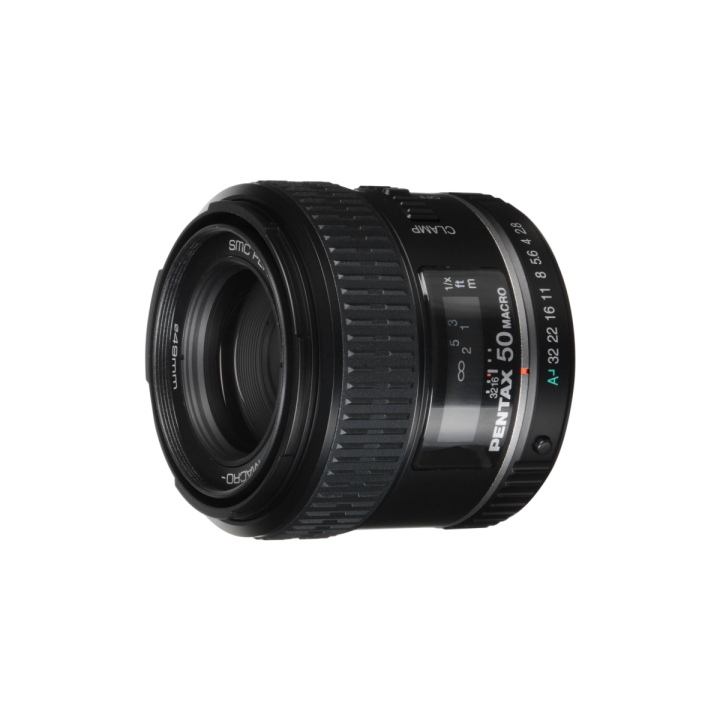 It is ideal for the photographer who wants a high quality full-frame, medium macro lens. Offers 1:1 image magnification for true-to-life macro photography. 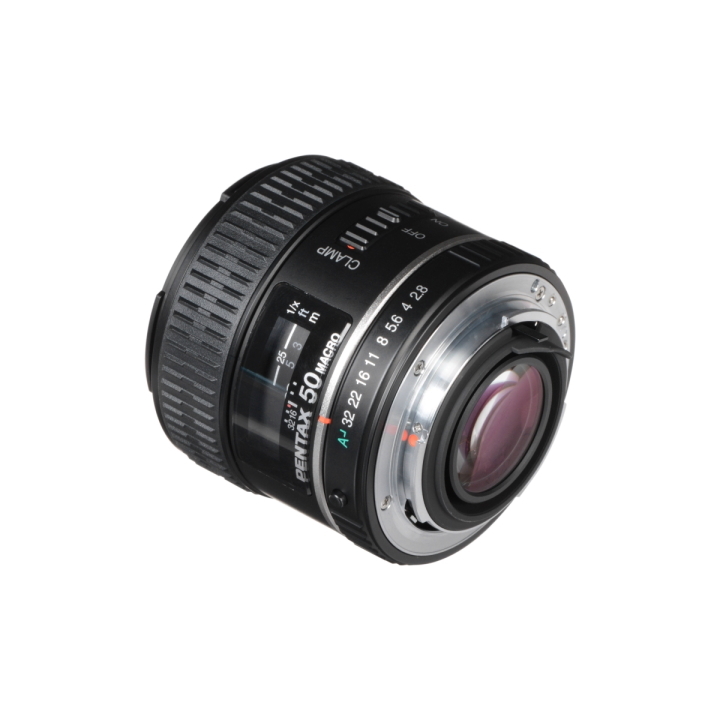 Aperture ring for traditional aperture control or automatic body-controlled depth of field. Large lens hood to shield the lens surface from excessive incident light. The PENTAX-original Quick-Shift Focus System allows instant switching from autofocus to manual focus operation. The full-frame lens is optimized for digital photography, including lens coating, curvature and positioning of optical elements. 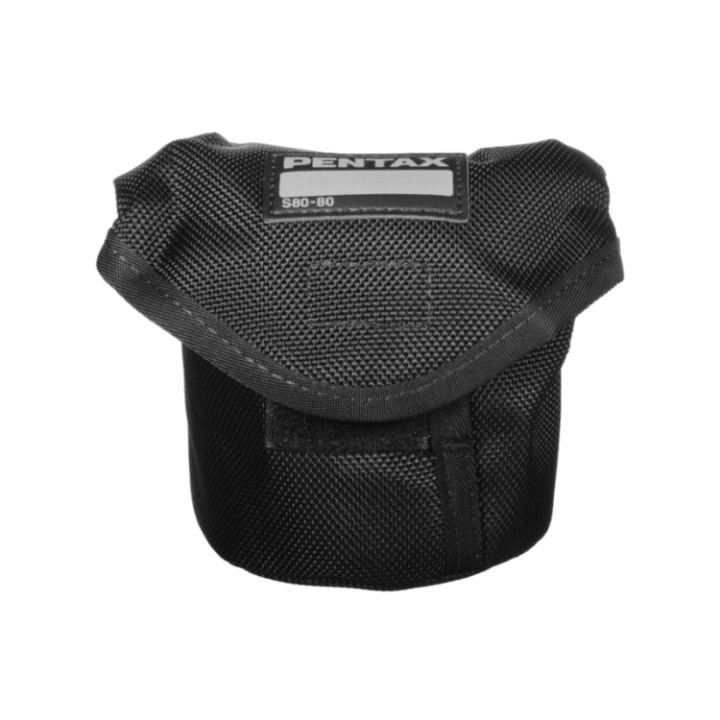 Developed for PENTAX digital SLR cameras, however full-frame optics are also compatible with PENTAX film SLR cameras.